Next Back to the beginning . . . Success at last for the acrobatic creature! 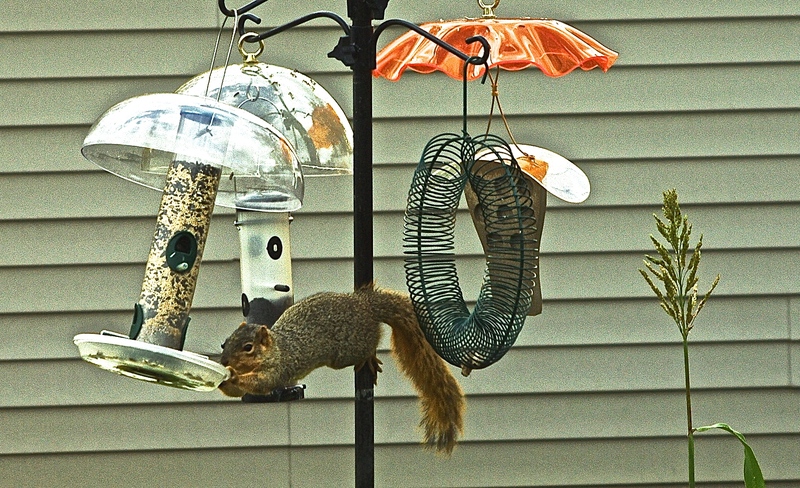 Well, at least it is a brown/red/Fox Squirrel.. I love them!